As part of a wave of promising new therapies to repair worn-out or injured joints, cartilage restoration is perhaps a middle ground between symptom relief and joint replacement. To better understand, when cartilage has been damaged, the relationship between bone and joint is no longer smooth and easy. Because cartilage doesn’t repair or regenerate on its own, trauma may result in a permanent lesion within the lining of the cartilage. Without question, an individual will experience pain and loss of mobility, and eventually osteoarthritis. 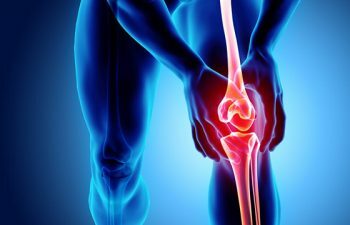 Yet, Dr. Kerisimasi Reynolds offers expert orthopedic intervention through cartilage repair and transplantation, as well as cartilage replacement to restore cartilage and preserve joint function. Along with drilling and microfracture surgery, a supplemental treatment injection using platelet-rich plasma or bone marrow concentrate can maximize healing through the introduction of growth factors. Similarly, when replacing lost cartilage, a specialized method called Autologous Chondrocyte Implantation (ACI) involves removing cartilage cells from a joint, multiplying them in a lab and reintroducing them to an area of damaged cartilage. In doing so, new cartilage tissues are generated. Dr. Kerisimasi Reynolds places a high value on innovative treatments that preserve the integrity of joints and cartilage tissues. Given the advancements in cartilage restoration and regenerative medicine, Dr. Reynolds feels that invasive surgery should be the last option, and that many times, it can be avoided. There’s hope if you suffer from joint pain and lost mobility. Call Dr. Reynolds at his San Jose, CA office today.